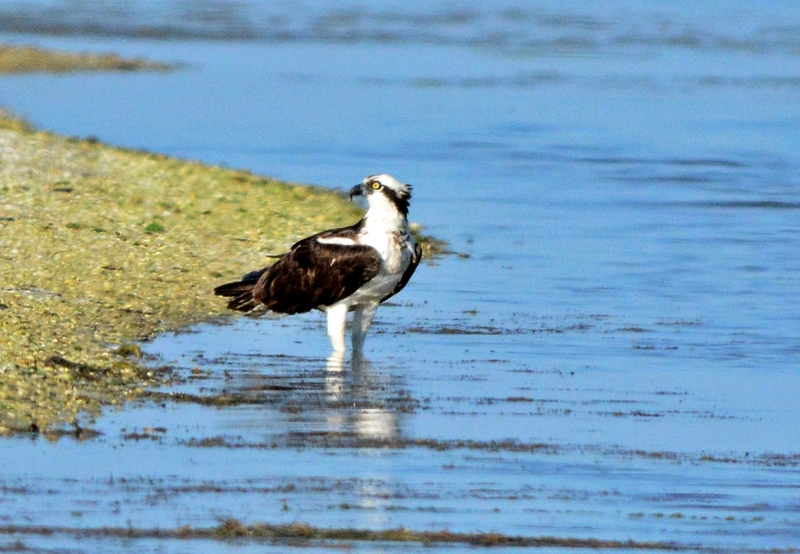 The osprey (or fish hawk) is a fairly common bird here At least for me. I see them in my neighborhood, on the bridges to and from work, in the parking lot at work and most of the parks that are near water. I was walking the trail at the east beach at Fort Desoto looking to see if the owls were back and all I could find were osprey. There are several nests along this trail that sits right on the beach so you can always find several here. I watched the osprey fly off the branch and circle over my head. As she was heading toward the water, I thought she was going to grab a fish. Instead she just landed on the edge and stayed there for a few minutes. Then she took off and fly far down the beach. Oh well. 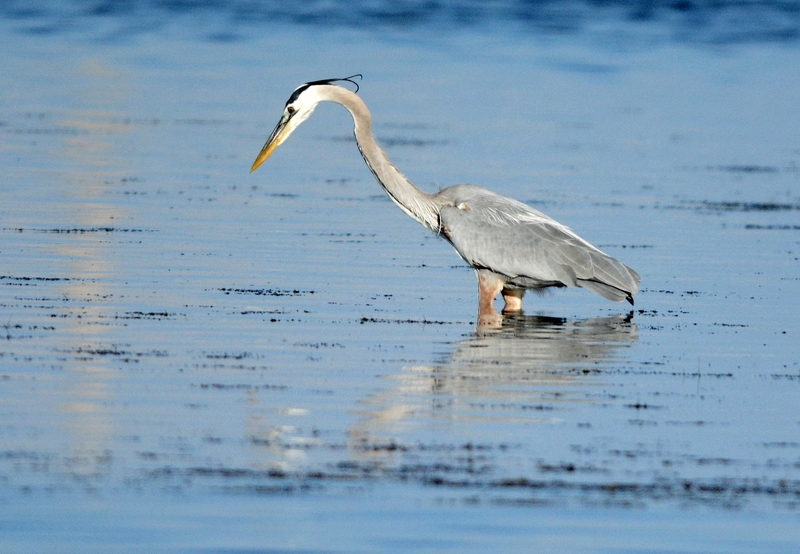 Now it’s just me and another common bird, the boring ole great blue heron out on the beach. 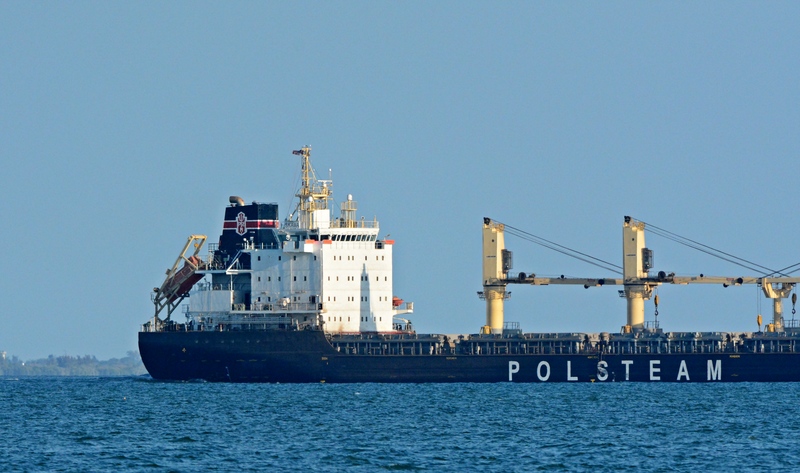 And a big boat cruising by. No luck on the owls yet but it’s very early. This entry was posted in bird photography and tagged boat, fort desoto, great blue heron, osprey by dinajohnston. Bookmark the permalink. 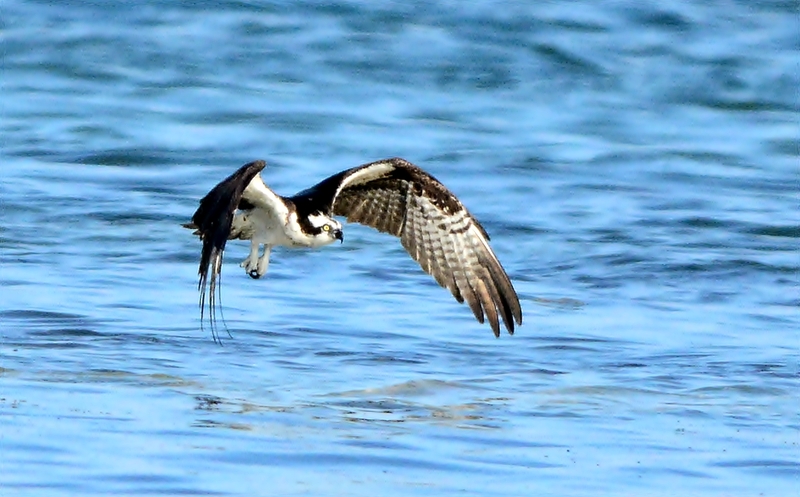 Amazing shots, I enjoyed your series on the osprey and the single shot of the blue heron. Great set of images of an amazing bird. Nicely done. 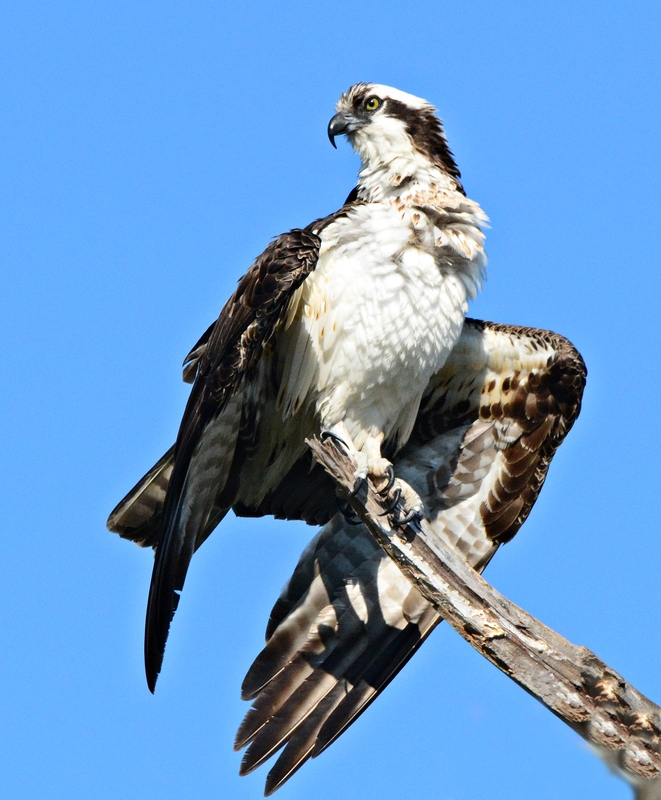 I am back and really am a bit crazy–I really did get my birds all messed up–I was meaning an eagle–Have a large bird flying around here and am trying to decide if it is an eagle or osprey??? That osprey is a magnificent bird! Fantastic photos! 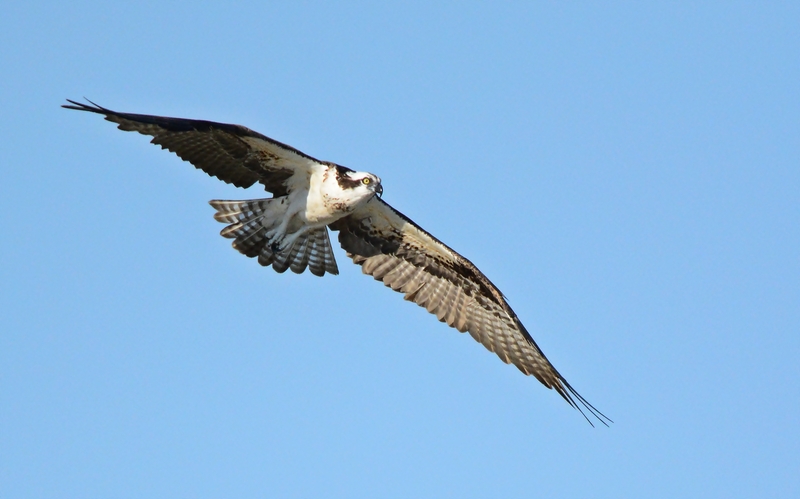 Fantastic osprey photos! Just stunning!